Back in March Sydney shoe-gaze rockers The Upskirts released their epically sonic 'Minds A Burden'. The four-piece have been busy working on their third EP (scheduled for release in early 2015). Last week the guys released their brand new single 'Where'. Mixing their signature rock'n'roll with elements of 90's grunge, psych and shoe-gaze, 'Where' is rich in sound and also has a deeper theme behind it. Frontman Nick Stillman explains the track is "about this idea of a character who can't quite stay still, who never feels completely satisfied with what they're doing and always needs to be doing something else." I think we can all agree that we've been in that position. 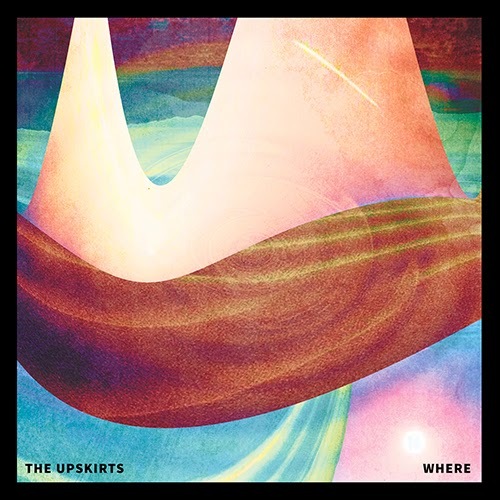 And if I were The Upskirts I would be mightily satisfied with their latest release.